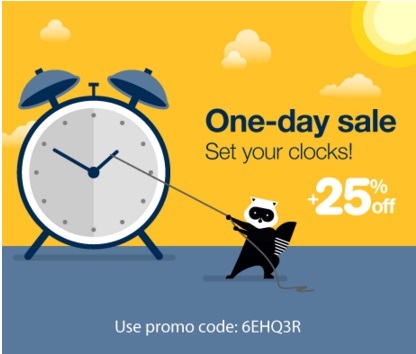 Porter Airlines is celebrating an extra hour of sunlight with extra savings! Save an extra 25% off their discounted base fares! Enter the promo code 6EHQ3R at checkout. New bookings only, book by 11:59pm ET March 10, 2016. Travel by June 26, 2016. Up to 21 days advance purchase required. Discount is not applicable for travel between March 11 - 13, 18 - 20 and 23 - 27, 2016, May 19 - 23, 2016. Discount is not applicable between May 26 - 30, 2016 for travel between Canada and the United States. Discount may not be available on flights between 4 PM and 8 PM on Thursday, Friday and Sundays. Click here to browse Porter Airlines.